Florida Orthopaedic Institute participates with most major carriers. Please consult your carrier or contact one of our scheduling representatives prior to your appointment to verify our participation status with your insurance plan. Our scheduling representatives can be reached at 813-978-9797.
before you’ve met your deductible. you and your health insurer share the responsibility of paying for your medical expenses. Let’s say you have a plan with a $1,500 deductible and an 80/20 coinsurance. 100% of the total costs. Your health plan will pay 80% of the remaining costs, leaving you responsible for the other 20%. look like, with and without meeting your deductible. when they reach their deductible. amount within the year, your insurance pays 100%. different, contact your insurance company to help estimate your costs. typically get a debit card for your account to pay for qualifying expenses throughout the year. need a procedure, it may make sense to use your balance rather than lose it. If you have an HSA (Health Savings Account), unused balances roll over into the next year. Medicare will mail new Medicare cards between April 2018- April 2019. 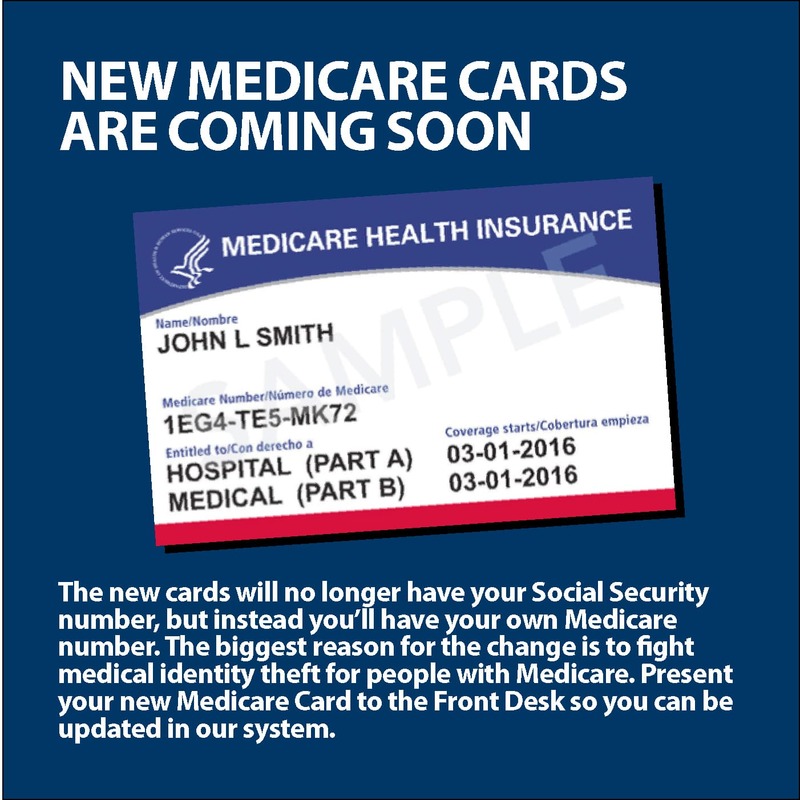 Your card will have a new Medicare Number instead of a Social Security Number. Please present your new Medicare Card to the Front Desk to update in our system. Please ensure that your mailing address is up to date with Medicare to ensure that you receive your new card. You can visit ssa.gov/myaccount or call 1-800-772-1213 (TTY: 1-800-325-0778) to correct your mailing address. Visit Medicare.gov for the latest updates. In order to provide the best and most efficient care for you, we ask that you please provide your current information to our office at all times. When scheduling an appointment over the phone, we request that you have your current insurance ID number and group number available. When visiting our office, please bring a copy of your insurance card to each visit. Prior to your appointment we will verify your benefits to ensure we are in- network with your provider. We will also inform you if there is a copay or deductible to meet and which lab your insurance prefers. Notify our scheduling department at 813-978-9797 as soon as your coverage changes. Occasionally the same plan does not always mean the same coverage. Even though, your plan may appear to be exactly the same as the prior year, your employer may have altered the level of benefits that are available to you. For example, you previously may have had unavailable coverage for specific treatments, and now they are covered. Or you might discover that your employer decreased certain coverage. It is so critical to contact your provider and review your plan at the start of a new plan year. Be proactive and ask the right questions. Verify that your referral is current. Most HMO plans require a current referral from your primary care physician before they will cover any visits. Patients can request a new referral by communicating with primary care physician’s office directly prior to your appointment. Make time allowances for obtaining an authorization. Reauthorization is necessary at the start of the plan year even if the patient did not change insurance plans. Prior to a patient starting any diagnostic testing or treatment, their plans will require the providers of care to get referrals and authorizations. Has the patient provided us the necessary documentation? How much time will the insurance company need in order to process and then provide the authorization?